Most of our team at Databox’s Boston HQ has easy access to the MBTA (Boston’s subway, called the “T”). 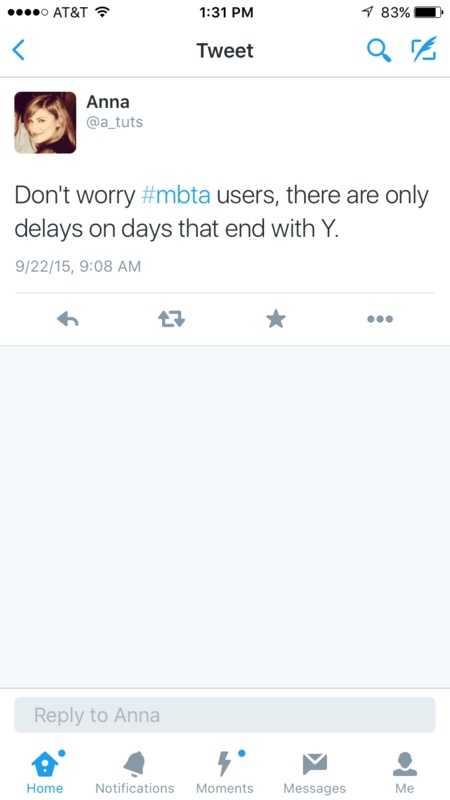 And yet I’m still the only person from the team who braves Boston’s public transportation system on a regular basis. Maybe it’s because I’m a bit more frugal. Or maybe it’s because in some neighborhoods, it’s often faster to crawl than take the T (sorry Brookline, I know it hurts). Either way, I frequently end up wishing I’d opted for Uber instead, like my coworkers. My friend Anna can attest to the MBTA’s shoddy-at-best performance. One of my favorite T anecdotes: the time an exasperated T driver announced that the train had broken down, apologizing for the fact that “these trains don’t run so well in the cold.” You’d think this simple requirement would have been considered when designing the system since it gets really cold in Boston every. freakin’. year… But no — this is the MBTA we’re talking about. So, in spite of very low expectations, I was still shocked when I read this Boston Globe article highlighting the latest MBTA performance stats. For example, on some days in its first week of public data, only 59% of red line trains were on time. Yikes. And worse, it doesn’t look like it’s going to get much better anytime soon. Despite the fact that fares have increased 110% since the year 2000, it’s still estimated that it will cost the MBTA more than $7 billion to bring the T to a state of good repair. I don’t know about you, but that makes me want to just cut my losses and work from home for the winter. Maybe it’s time for the MBTA to start paying a little more attention to what really matters to riders? In the meantime: Bridj, my hopes rest on you.